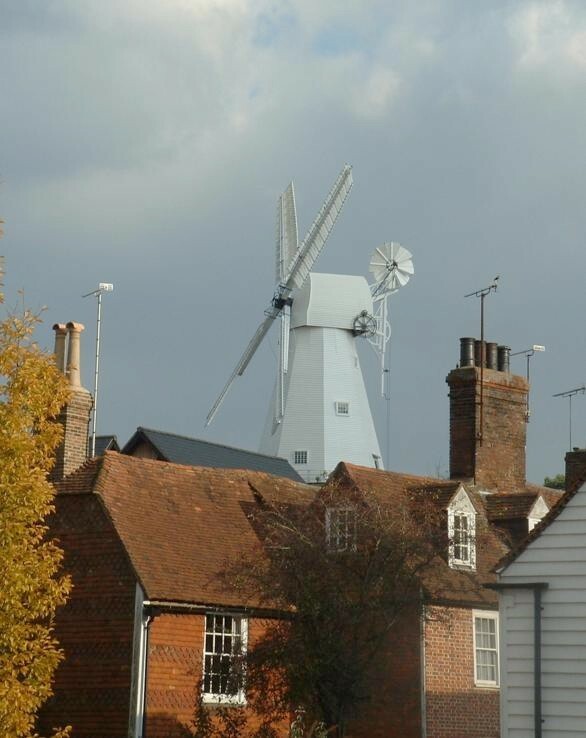 The mill is operated by The Cranbrook Windmill Association, a group of volunteers, who open the mill to the public during summer afternoons, usually from 2:30-5:00pm. For special events visit our News & Events page..
FREE ENTRANCE: However, if you enjoy your visit we do welcome donations towards our charitable objectives. Located near the centre of Cranbrook. No car parking on site but Public Car Park and street parking nearby. 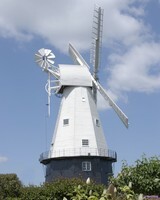 The Union Mill, The Hill, CRANBROOK, Kent, TN17 3AH. DISABLED ACCESS: Union Mill is a Grade 1 Listed Industrial Building with steep, narrow stairs to the six floors of machinery and displays. As a result disabled access is, unfortunately, extremely limited. However, we have an audio-visual room in the basement, accessed without stairs, where you may watch a guided tour on video.